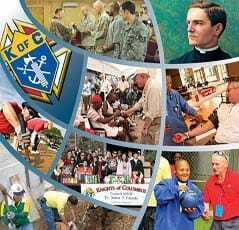 Visit the national Knights of Columbus website. Visit the state Knights of Columbus website. In keeping with a longstanding commitment to build stronger marriages and families, the Knights of Columbus has an interactive website called Fathers for Good. Headline Bistro is a service of the Knights of Columbus dedicated to bringing readers the top, daily headlines that Catholics need to know.